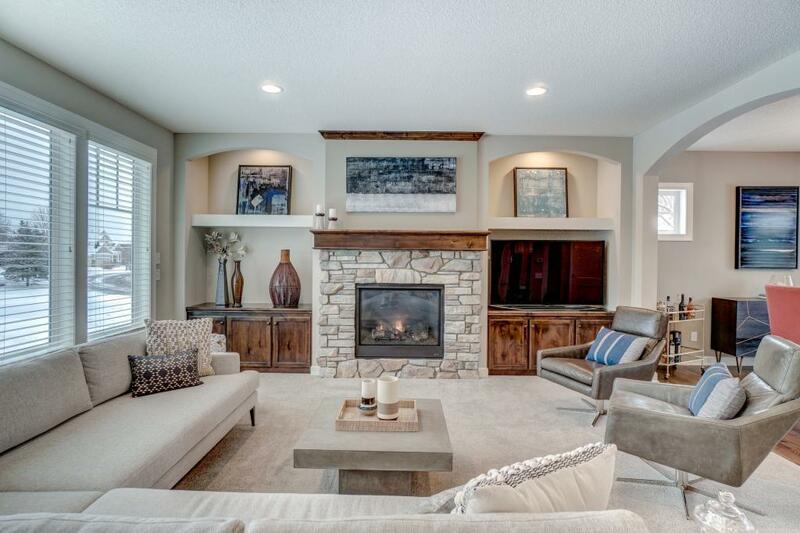 Only relocation makes this former Hanson Builders Parade of Home Model available! Open, spacious floor plan with high end finishes, custom built-ins, main floor sunroom and additional main floor flex room to match your living needs. Large 2nd floor laundry attached to owner's suite for convenience. Owner's suite has private luxurious bath and walk-in closet. Lower level walkout features family room with fireplace, additional bed & bath, and exercise room. Move in & enjoy! Directions - From South Lake Blvd NE, go east on 117th Lane NE to home is on right.